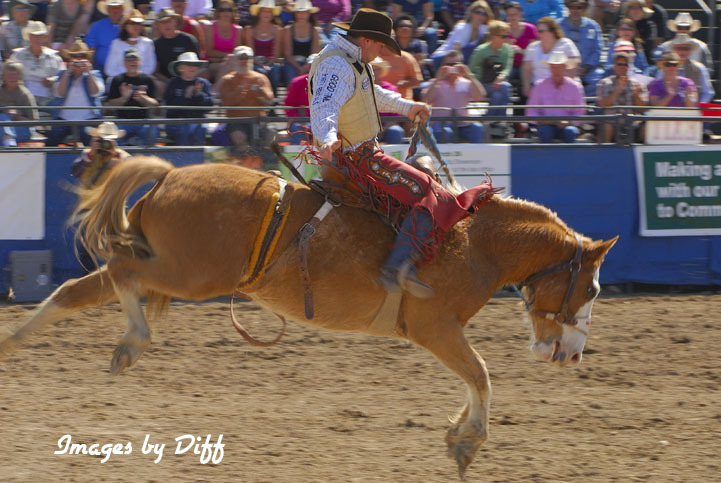 click photo to enlarge I have made 2 web pages out of the rodeo, one for bull riding and one for some of the other events. 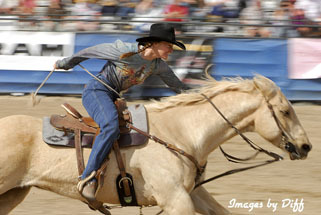 The barrel racers are very intense and really squeeze everything they can out of themselves and their horses. 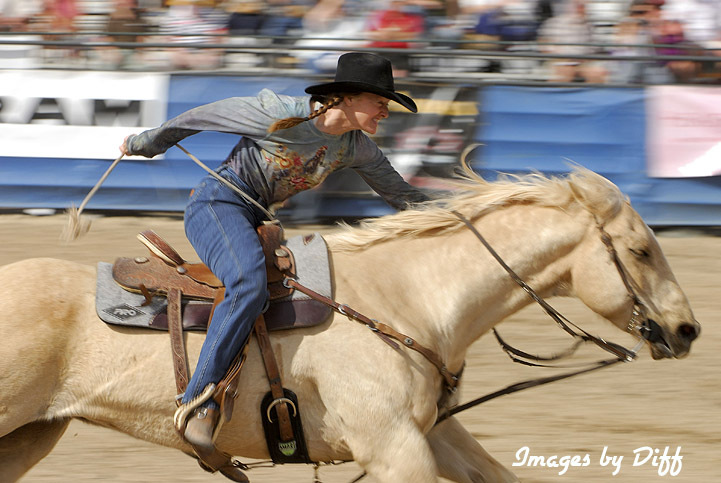 It is amazing to see just how quick they go. 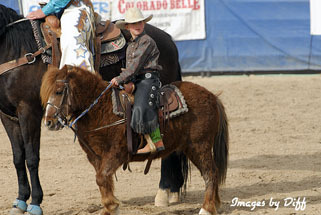 click photo to enlarge This little guy aspires to be just like his dad and one day compete in the rodeo. 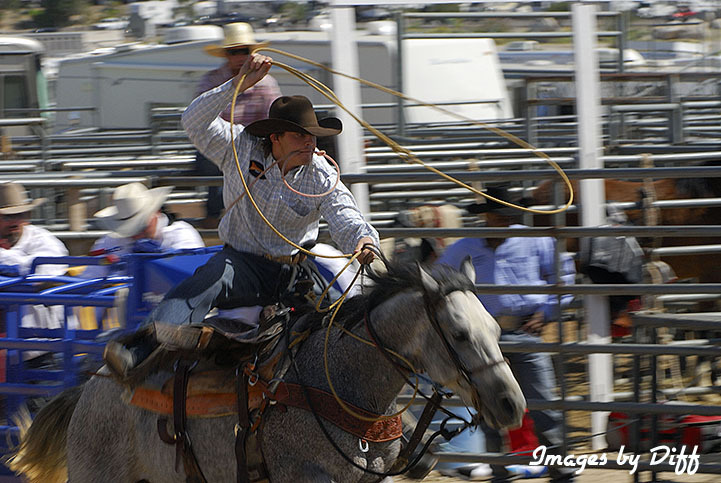 You will see the little ones practicing their roping skills and trying to be like the life they know. click photo to enlarge The picture to the left is an event called steer wrestling, a horse-mounted rider chases a steer, drops from the horse to the steer, then wrestles the steer to the ground by twisting its horns. 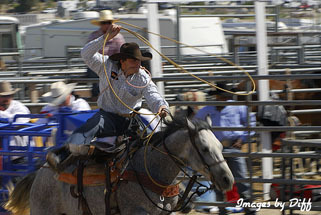 Lower left is the team roping and below is Saddle Bronc Riding. 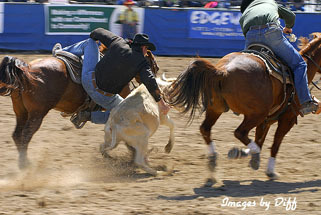 In this case the cowboy attempts to stay on the horse for 8 seconds.